Dr. Schwartz attended the University of Maryland School of Medicine in Baltimore, MD, where he graduated with honors as a member of the Alpha Omega Alpha Honor Society. He completed his residency in orthopedic surgery at the University of Maryland Medical Center. Dr. Schwartz received the Henry L. Meyerding Award from the American Fracture Association in 1989 and later completed the Harvard Hand and Upper Extremity Fellowship in Boston, MA. Additionally, he received a Certificate of Added Qualification for Hand Surgery. 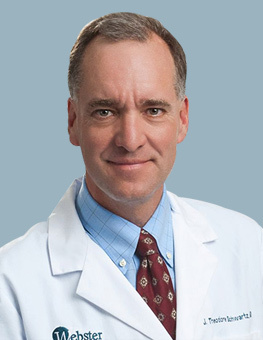 Dr. Schwartz specializes in reconstructive surgery and disorders of the hand, elbow, and shoulder. He also has special expertise in surgery of the upper extremity. 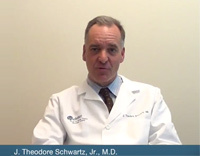 Introduction: J. Theodore Schwartz, Jr., M.D.